At UR we value our users! 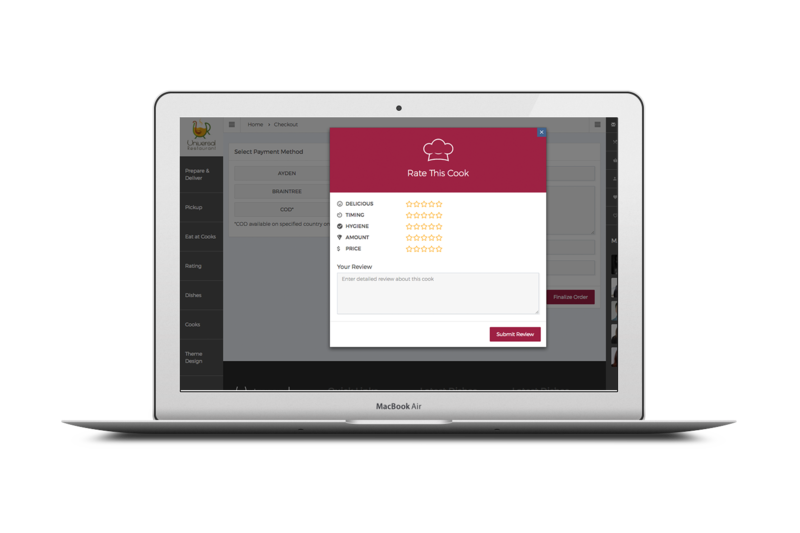 Through our unique ranking system, we give the opportunity to our users to Rank our Cooks by honoring them with one of our three ranks. We make it easy for you, after giving the stars of “DELICIOUS, TIMING, HYGIENE, AMOUNT, and PRICE” to a Cook at the review page, UR’s Algorithms automatically apply your stars to rank the designated Cook upon a unique pre-designed formula. This system also drives our talented, creative Cooks to compete and claim their deserved Hat! The Cooks may also use this Ranking system results in their resume, LinkedIn, and other social media accounts to showcase their skills and professionalism.